At Leon Springs Family Dental we provide comprehensive treatment plans to produce long lasting and healthy smiles. To care for the health and wellness of patients with missing teeth, we offer the All-on 4 system of implants in San Antonio. All-on-4 is a revolutionary way to care for patients who want a better way to replace all missing teeth in an arch and wish to avoid extensive treatment plans. All-On-4 dental implants afford our patients beautiful and healthy smiles with permanent replacement teeth that feel more like your own. This procedure allows a full arch of prosthetic teeth to be supported on only four dental implants, which are placed within the jaw at strategic locations and angles to allow for better stability and strength. • Restore multiple teeth: This procedure is perfect for patients who have a removable denture and want a more functional prosthetic, or are missing most of their teeth in an arch and are interested in extraction and comprehensive restoration. • Promote minimally invasive treatment: As it typically only takes one day for implantation, and the strategy behind planning your treatment helps to avoid the need for bone grafts, your procedure is minimally invasive and more comfortable than traditional implant processes. • Improve stability: Of the four total implants placed during treatment, the two front implants are tilted and made longer in size. This increases the bone–to-implant contact and allows for better fusion and integration, improving the overall strength of your replacement teeth. • Lower treatment costs: By minimizing steps in the traditional implant restoration process, such as bone grafts and placing a greater amount of implant posts, the All-On-4 procedure provides a more affordable solution to getting a fixed, full arch prosthetic. At Leon Springs Family Dental, we only provide state-of-the-art procedures that fit our patients’ needs. All-On-4 dental implants help create beautiful smiles for patients who are struggling with comprehensive tooth loss. 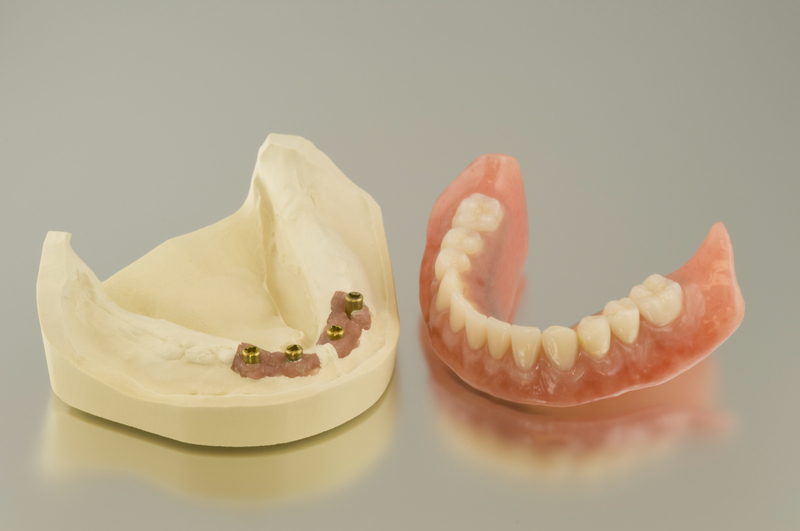 All-On-4 implants are unique in that instead of placing a full arch of up to eight implants to fit permanent denture, four specifically placed implants are added instead. Implants are titanium screws that re placed within the jaw bone, and replace the roots of the teeth. Through a minor surgical process, implants become part of the jawbone itself. With these precisely placed implants, a full-arch bridge can be secured top give a new and beautiful smile. All-On-4 implant restorations are non-removable and therefore feel more like your real teeth. At our San Antonio dental office, we are committed to providing this procedure for its efficiency, the comfort and confidence it provides our patients, and for establishing a strong, and lasting foundation for your new teeth. Schedule an Appointment with our San Antonio Implant Dentists! At Leon Family Dental, this solution for a fixed full arch restoration is not only minimally invasive, but can improve patients’ quality of life. Contact our San Antonio office for your personalized treatment plan and see what All-On-4 can do for you!